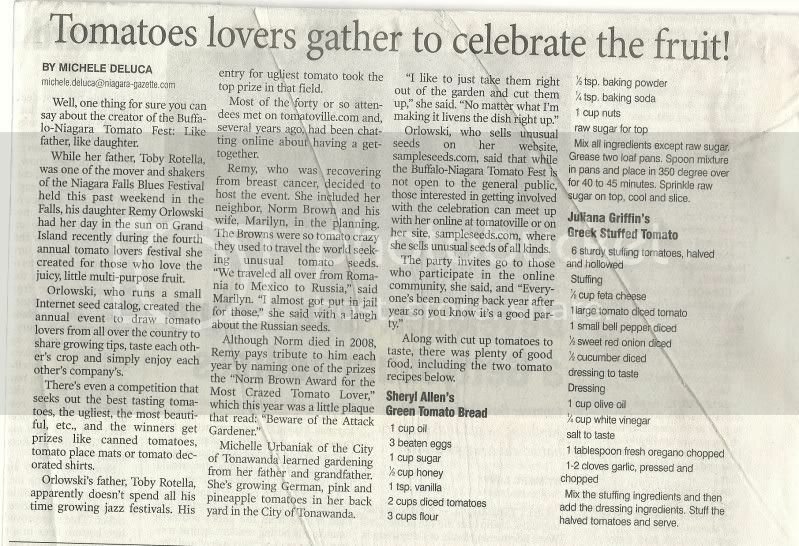 Tomatoville® Gardening Forums Index > Regional Group Tomato Tastings > Buffalo-Niagara Tomato TasteFest™ XI - 2017 > Newspaper Article! 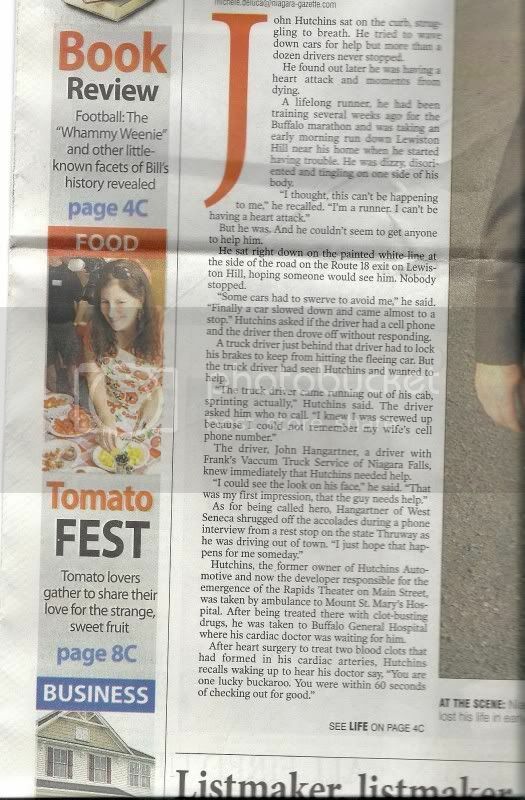 Here's the article from the Niagara Gazette that was in today's paper. 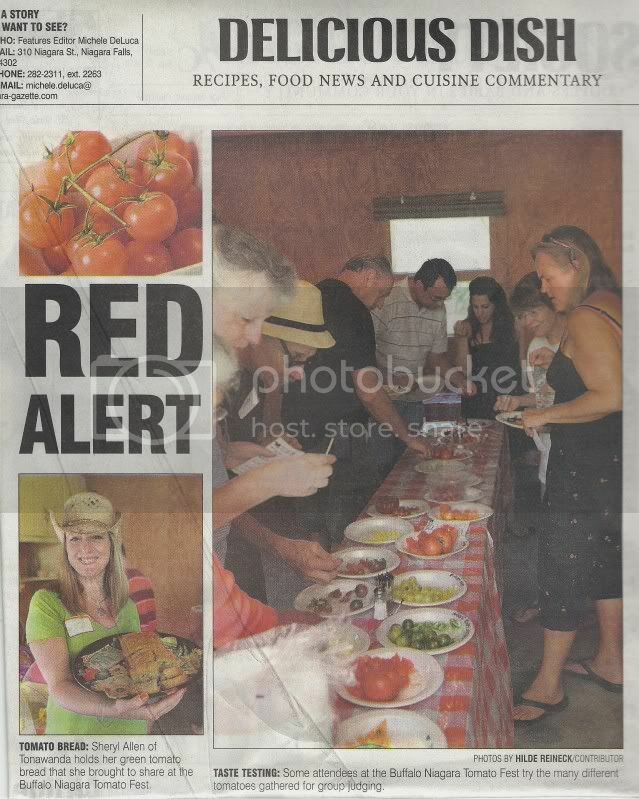 So, like, who's the dish in the tomato apron pictured in the side bar? Why that would be me . Nice coverage. Sure is fun when folks notice what we do. Very cool. Thanks for sharing that. I do want say there are some errors in the article like it was Mark, Hilde, and me that originally decided to hold the party, Sheryl lives in Hamburg, the country Marilyn had trouble leaving was Romania(though she said Russia was scary going through customs,) etc. but it is all good since the article promotes our love of tomatoes .